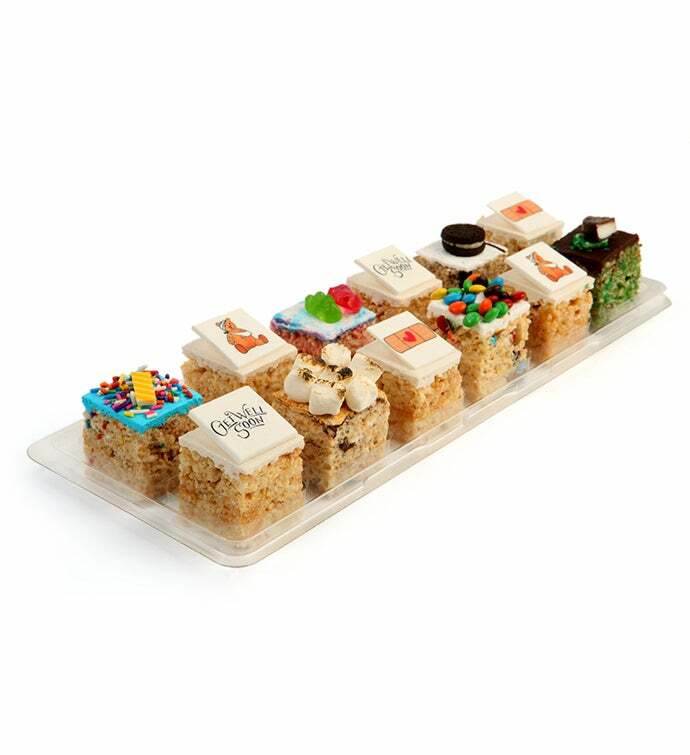 Assortment of gourmet rice Krispy Treats with garnishes that will certainly make the recipient of this gift feel better. Flavors include cookies and cream, M&M, s'mores, birthday cake, chocolate caramel pretzel, chocolate peanut butter, and birthday cake. Krispy and delicious pick me up.